where voice-over newcomers and seasoned pros learn and share how to succeed in this vibrant industry, 24/7. Visit this web site daily! The blue tabs at the left of this page lead you to a virtual treasury of how-to info. It's valuable voice-over training from industry experts and working pros. And right now, you can keep your momentum flowing with a highly-recommended series of free reports: How to Ace the Audition ... plus career-enhancing newsletters. Want to learn if a voice-over career is right for you? Need voice-over training to improve your voice acting, marketing and business skills? Looking for quality voice-over equipment to set up a home studio? Your resources are at VoiceOverXtra! ... even a special section for voice-over newcomers and an online Voice-Over Store packed with books and equipment to learn about and easily purchase. Quite simply, our mission is to help you reach your career goals. "When you need to know what's happening in VO, VoiceOverXtra is the place to go." "You have your fingers on the pulse of what's hot in VO. Visiting VoiceOverXtra is part of my morning ritual." 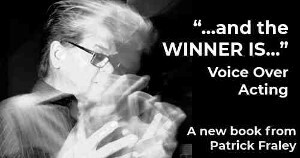 "A MUST HAVE for anyone who has anything to do with the voice-over industry." "Your quality and expertise is phenomenal. Your site is the BEST, the cleanest, most professional sounding and looking." 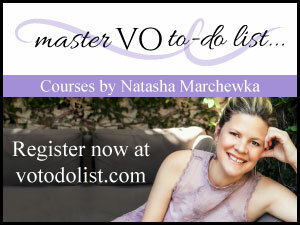 the most comprehensive Calendar of voice-over training opportunities. Plus: voice-over how-to articles, audio/video and podcasts on Voice Acting, Business, Home Studios ... and much more. Make it a Favorite on your browser. Follow valuable news and features as it happens! "It's a great one-stop-shopping site where one can pick up on training opportunities, news and other resources. I love the Home Studio Tours." "Even with years in the voice world, I pick up tips or new perspectives with nearly every visit." "I'm sucked in to your great articles and info!" "I couldn't believe how much was there when I first visited your site!" "Any voice talent who wants to keep up with what's going on needs to check VoiceOverXtra every day!"